The 2017 season marks a season of firsts for the Chargers and the NFL. It marks the return of the franchise to Los Angeles and two NFL franchises in the city. The Chargers originated in Los Angeles, as a member of the American Football League, in 1960 but moved to San Diego the following season. For more than 50 years they played in San Diego, 49 seasons at Qualcomm Stadium. Throughout the late 1990s and 2000s nearly every NFL franchise built a new stadium. Qualcomm Stadium, a multi-purpose stadium, that once housed baseball’s San Diego Padres, lacked many modern amenities had many lower level seating areas with bad sight-lines for football. The Chargers tried to work with the City of San Diego to have a new stadium built but multiple attempts failed. In January 2017 after unsuccessfully gaining support for a new stadium in San Diego, the team announced plans to move Los Angeles for the 2017 season. They join the Los Angeles Rams (who moved to the city following the 2015 season in St. Louis) as the second franchise in the city. 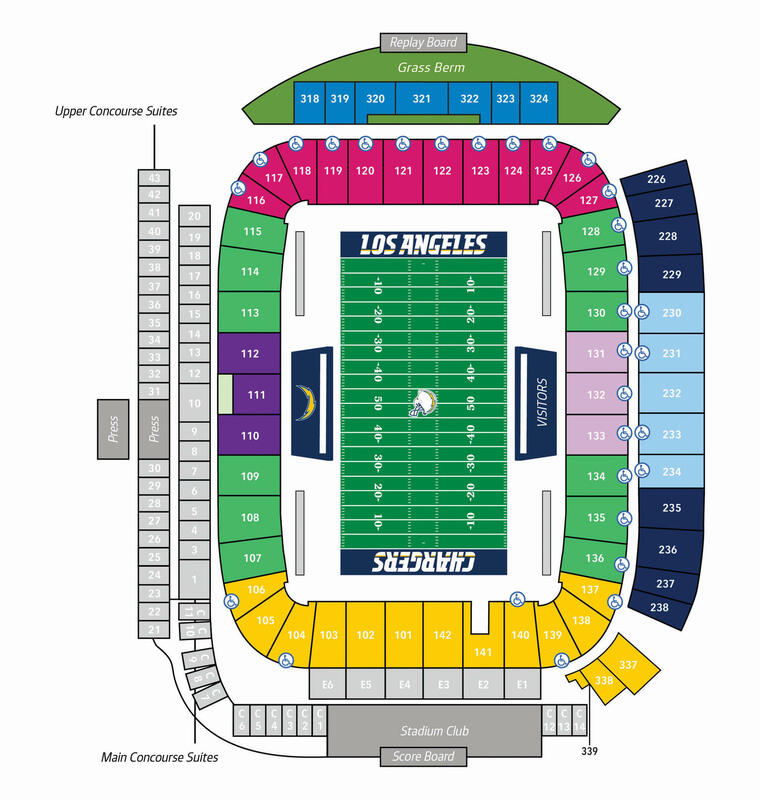 For three seasons the Chargers will play at the StubHub Center (the Rams play at the Los Angeles Coliseum) while a new stadium is constructed for both teams. Located on the campus of Cal State University, 10 miles south of downtown Los Angeles, the StubHub Center is the primary home of the MLS LA Galaxy. The stadium was designed and built as a soccer specific facility. In opened on June 1, 2003 and was originally known as the Home Depot Center. 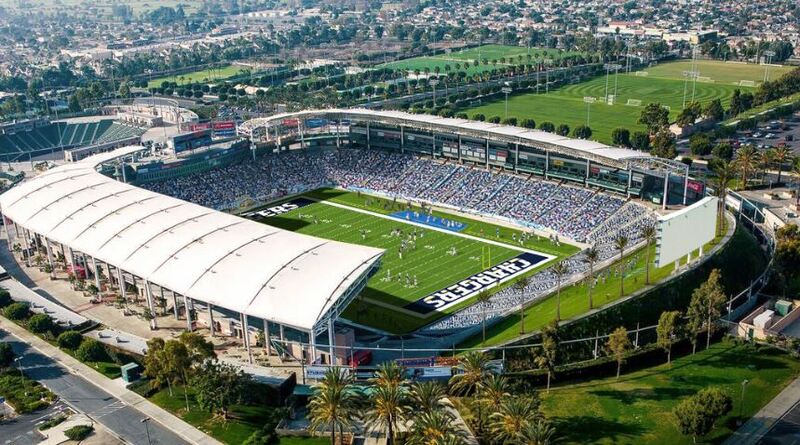 In 2013 StubHub purchased the naming rights and thus it was renamed the StubHub Center. The stadium has a seating capacity of 30,000 making it the smallest stadium in the NFL. It features a European style roof that reverberates the sound of the crowd making the stadium a very intimate football venue with one primary seating deck surrounding the playing field. The StubHub Center has 43 luxury suites and two HD video/scoreboards, one in each endzone.